This home shows love! Walk into the large open great room with soaring ceilings, expansive real wood floors, wood trim and propane fireplace. The attached family room has a real wood burning fireplace and home has newer central HVAC. 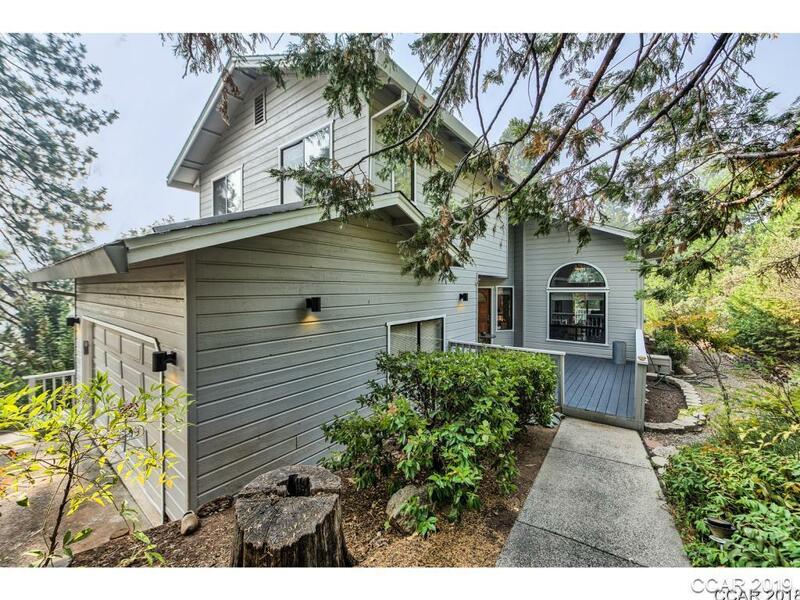 Each window in this home has a private view of lush trees, the rear has views toward golf course from large decks. The front yard and deck is extremely private, yet just a short walk to the golf course or lower pool/tennis area. The roof is new, as well as upstairs carpets. Master bedroom has 2 closets and opens into master bathroom with a deep soaking tub and separate shower. There is lots of storage in this home in addition to a large 2 car garage. Welcome to an easy life style in the Sierra Foothills, enjoying the village of Murphys or nearby high sierras. Directions: Highway 4 Murphys To Forest Meadows Drive, Past The 4 Way Stop Towards The Golf Course.